The "Residence Makauda Beach" is located on the south-western coast of Sicily. The relaxing atmosphere, the contact with nature, the crystalline sea and the proximity of wonderful places for history, nature and archeology, offer the guests of the Residence, a holiday full of freedom but also relaxation for adults and fun for the smaller, all inserted in a security context. The "Residence Makauda Beach" consists of 20 comfortably furnished apartments that overlook the pristine coastline of the Mediterranean Sea, with the sea just a few steps away: 20 meters from the apartments and 3 from the pedestrian gate of the Residence. The accommodations, cared for down to the last detail, are composed of a large and comfortable living room with a kitchen complete with fridge and accessories (pots and pans and crockery), two bedrooms, one double, a bathroom with shower and hot water services, all equipped of bed linen and bath. All apartments have a patio and a large covered veranda furnished with a garden table and chairs. Thanks to their size, the apartments offer different solutions to meet the different needs of guests and families. The accommodations, cared for down to the last detail, are composed of a large and comfortable living room with a kitchen complete with fridge and accessories (pots and pans and crockery), two bedrooms, one of which is a double, a bathroom with shower and services with hot water, all equipped with of bed linen and bath. 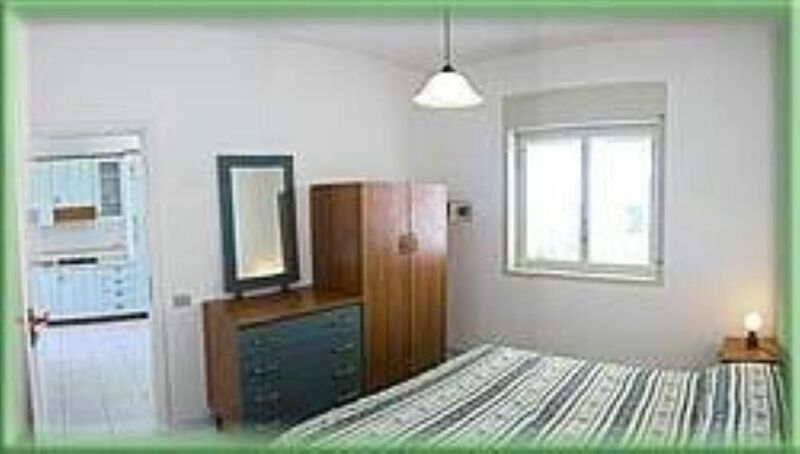 All apartments have a patio and a large covered veranda furnished with a garden table and chairs. Thanks to their size, the apartments offer different solutions to meet the different needs of guests and families.